At 5:55 p.m. local time on October 15, 2017, in the city of Olbia on the Italian island of Sardinia, President of the International School Sport Federation, Laurent Petrynka, began opening an envelope containing the winner of the bid to host the Gymnasiade 2020, an international sporting event for young athletes. The meeting room was silent. He pulled a card out of the envelope. It read "JINJIANG 2020." Jinjiang, a coastal city in southeast China's Fujian Province, will become the second Chinese city to host the event after the 11th edition in Shanghai in 1998, its successful bid apt recognition of the city's development in the past few decades. "I'm very excited and proud of my hometown," said Ding Shizhong, Chairman and CEO of Anta Sports, one of China's largest sports shoe suppliers, having followed the bidding process from start to finish. Anta Sports was born in Jinjiang in 1991, and has grown into China's leading sportswear brand with over 10,000 outlets and a market value ranked third in the industry worldwide, after Nike and Adidas. The brand has been both witness to and participant in the city's growth. 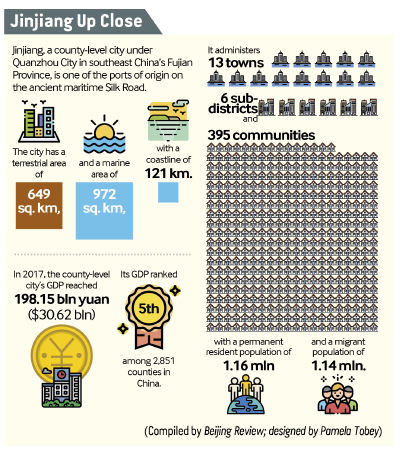 Jinjiang has been called the "City of Brands" for cultivating over 68,000 registered trademarks and 42 of China's famous trademarks including Anta, and is well known for a thriving private economy. But there is more to Jinjiang than traditional industries. The city is working to upgrade its traditional sectors and nurture hi-tech development. "We hope that mature traditional industries can serve as a solid base for the development of emerging industries, and that the advancement of the latter can bring a new look to the former," Wang Wenhui, Vice Mayor of Jinjiang, told Beijing Review. 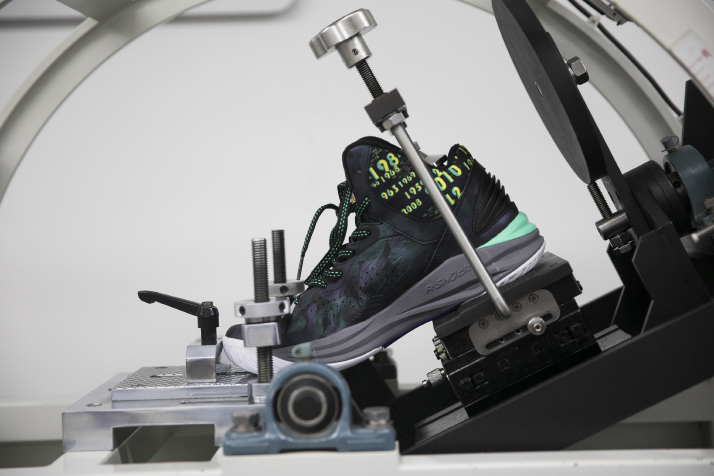 Jinjiang is known as the world's largest production base for sports shoes. According to the city's official statistics, one out of every five pairs of sports shoes worldwide is made in Jinjiang, with over 4,800 shoe companies in the city with some 280,000 employees. Besides Anta, many big brands like Xtep and 361 Degrees also originated in the city. In 1986, Fei Xiaotong, a prestigious sociologist, came up with the "Jinjiang Model," a theory dictating that the city's economy be export-oriented and market-led, allowing businesses with all types of ownership structures to develop together. The city's shoe industry began in a small satellite town called Chendai. As China's reform and opening up got underway, the country's markets began to open, and commercial opportunities began to appear in Jinjiang, an important port city on the ancient maritime Silk Road with a tradition of cultural exchange and overseas trade. At a market in Chendai, where merchants from Jinjiang sold goods from overseas to other parts of China, shoe manufacturing and retail boomed as entrepreneurs realized that shoes were a lucrative combination of huge demand and relatively little cost. They took the plunge and began the mass manufacture, wholesale and retail of footwear. Later, as the businesses began to expand, some entrepreneurs realized that to differentiate their products from others on the market and stay ahead of their rivals they would need to build a brand. Soon, over 100 shoe brands emerged in Chendai and other parts of Jinjiang. Not all of them would survive the competition of the following decades, but those that did prospered and went on to claim a substantial share of the domestic market. Today the shoe industry forms one of two industrial clusters in Jinjiang whose worth exceeds 100 billion yuan ($15.2 billion), the other being textiles and garments. Zhuang Chuisheng, Mayor of Chendai, was born in the 1970s. He remembers his first branded pair of shoes given to him by his aunt. Eager to make them last, he only wore them on important days. As his standard of living improved, he bought more international brands like Nike and Adidas. "But in recent years, I prefer outfits from Jinjiang's manufacturers. You can try on any shoes produced in our factories. All of them are comfortable," he said. Zhuang said Jinjiang is famous only in part due to its leading shoe and sports brands. The city also has a number of small and medium-sized enterprises that are playing an important supporting role, with the variety they provide able to meet the needs of different buyers. Chendai is now in the process of taking the industry to the next level by building a large market called Jinjiang International Shoes and Textile City covering an area of 527 hectares. Since it opened last October, over 1,000 commercial tenants have already moved in, selling raw and processed materials for shoe-making such as accessories, fabric and leather. "We target not only the domestic market, but customers all around the world," Li Xiaohuan, General Manager of the market, said, adding that they are hoping to build it into the largest shoe material trading center in Asia with a complete and innovative range of raw materials and accessories. Ding Wanyu, manager of a company producing fabric for shoes, said the new market has helped business people like her reach international customers through trade fairs and exhibitions. "We have established links with customers from South America and the Middle East, and I believe that continuing to upgrade our products to cater to customers' demands is the key to better business," she said. Going global is an objective shared by many of Jinjiang's entrepreneurs. Some of them, like Ding Wanyu, have already benefited from the process, with others even becoming game changers in the international market. 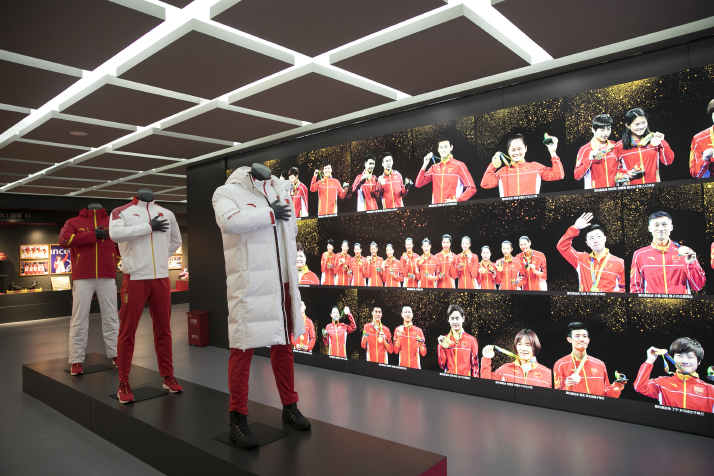 Anta's CEO Ding Shizhong said that for a long time China's products were popular on the overseas market for their low prices, but now things are beginning to change. "Many companies are targeting upscale global consumers with quality products that are being well received. For example, in March we launched a pair of limited-edition basketball shoes in San Francisco that was priced at nearly $160. Young people were queuing up to buy them. This is what made-in-China brands are capable of," he said. Despite this success, finding a way into the global market is not easy and Ding is aware of the gap between Anta Sports and other global industry leaders. "This year we plan to visit the foremost technology companies in the United States and learn from them," he said. Entrepreneurs like Ding Shizhong have realized how important technology can be, and so has the Jinjiang City Government. According to a government report, the city has cultivated 85 hi-tech companies so far, and research and development investment now accounts for 2.65 percent of the city's GDP. "But hi-tech industries account for a relatively small proportion of the city's economy. Innovation-led development here is far from strong," said Vice Mayor Wang. In 2016, the city began to develop its integrated circuit (IC) industry as a new engine of growth, in line with the national policy to advance IC technology. According to Wang, Jinjiang will start with the production of memory chips, which currently lags behind in China, before going on to build a complete IC industry chain, incorporating design, manufacturing, packaging, testing, and terminal application. "We plan to make the IC industry another industrial cluster worth more than 100 billion yuan by 2025," Wang said. 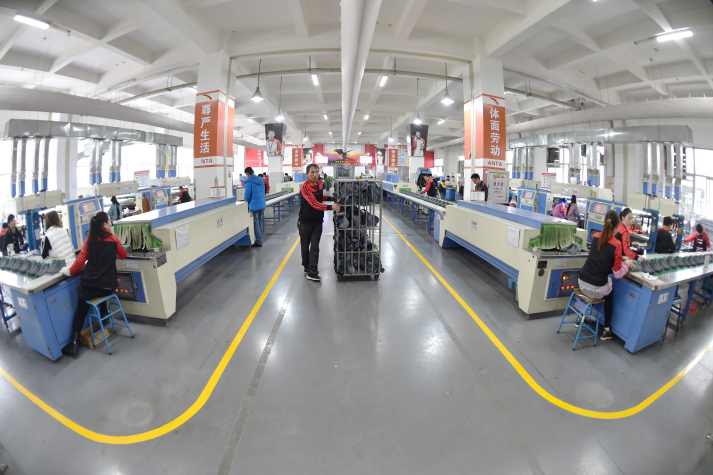 A well-developed IC industry can also help the city to upgrade traditional industries and products, such as shoes, clothes, daily-use items and machinery. Wang revealed that local manufacturers have already explored putting chips in shoes to make them more intelligent. "Some companies are also trying to put chips in diapers to help detect and draw attention to children's bowel movements, and even check their physiological status," Wang said. He believes that traditional sectors provide a huge market and demand for the application of hi-tech industries. The proper management of the relationship between hi-tech and traditional industries was expounded by President Xi Jinping in June 2002 during a visit to Jinjiang in his role as governor of Fujian. The following August, Xi published an article in People's Daily and Fujian Daily, detailing Jinjiang's experiences in dealing with the various challenges in economic and social development. "Jinjiang has since pursued a high-quality development path," Wang said. Fujian Jinhua Integrated Circuit is one of the places where Jinjiang's IC industry is burgeoning. Established in February 2016, the company has been working on a memory chip project as part of the national plan. Xu Zheng, Vice Manager of Jinhua, is a name inseparable from the story of the company's growth. Xu used to work as an engineer in Silicon Valley, but he recently chose to settle down in Jinjiang. "Jinjiang is a lot like Silicon Valley; a quiet place without the hustle and bustle of megacities, ideal for academic research," he said. Xu enjoys the convenience of life in Jinjiang. "The traffic is not so bad here," he said. "If I need to fly somewhere, I can leave my house half an hour before boarding." In addition to personal preference, Jinjiang's policies on high-caliber personnel played an important role in Xu's decision to leave California. He benefits from the city's preferential policy toward professionals in the IC industry, under which the government rates specialized personnel based on their education, academic achievements, experience, honors and awards, and provides subsidies in accommodations, medical care and children's education accordingly. "On my second day after arriving in Jinjiang, I received the key to a temporary apartment and an official helped me with all the formalities," Xu said. To attract more professionals like Xu, the local government has come up with a series of policies and incentives. According to a document released by the Jinjiang Municipal Committee of the Communist Party of China (CPC) in June, persons with the requisite abilities are offered a maximum subsidy of 1.2 million yuan ($182,000) to buy a house, while startups can access seed funding of up to 30 million yuan ($4.56 million). In addition to financial support, the city also pays attention to training for entrepreneurs and specialized professionals from different areas, especially hi-tech industries. Training focuses on business management, risk prevention, policy directions and corporate culture. Participants also have opportunities to travel to other provinces and countries and learn through onsite experiences. "The classes are not only a place to learn and expand the trainees' horizons, but also a platform for them to innovate and find opportunities for cooperation," Huang Jianhua, Deputy Director of the Organization Department of the Jinjiang Municipal Committee of the CPC, told Beijing Review.